Your princess is in another castle, wait, that’s not right. Your girlfriend has been kidnapped by an evil demon, that’s more like it. How come whenever a protagonist in a game is settling down to some quiet time with his loved one, she ends up getting taken or lost to some evil force or natural disaster? You would think by now after all the games, films and various stories that these maidens would look after themselves or at least take some self-defence classes. JackQuest: The Tale of The Sword is one of these stories, the game starts out with you and your beloved sitting by a fire and having some alone time. You know how it goes, she starts singing, you confess your love for each other and before you know it she has been grabbed by some malevolent beast. Oh well, I guess we need to go on a long quest to save her, battling various beasties, collect various upgrades and crossing perilous traps. I have done it in hundreds of other games, why not one more? JackQuest is mostly your standard adventure platformer, although in its favour it also has some slight Metroidvania qualities. Your quest to free your girlfriend takes place on one large map, some areas are gated off until you have various powers, hence the ‘Metroidvania’. You must collect various ability upgrades, such as a double jump to allow you to progress into new areas and head towards freeing your lady friend. You will often have to backtrack to other areas or to pick up collectables or upgrades you could not collect before. Early in the game, you acquire what can only be described as a ridiculously large sword. This sword talks to you throughout the game, I know another oversized talking sword, who would have thought? Wading through the games many foes and bosses is quite a simple affair. You have an attack button and a special button, and your special depends on what weapon you have equipped at the time. There are only two weapons in the game but they do give a slight tactical feeling to the skirmishes as some enemies are easier to deal with depending on which weapon you have selected. As I stated earlier, the battle system is very simple but the game is so short that I didn’t feel this was too much to the game’s detriment. Scattered through your fairly short quest are various collectables. Heart containers, which are normally hidden or slightly more difficult to collect increase your maximum health. Small gems, which fill your special meter, are very common and large gems, of which there are only a few, increase your special meter. These large gems, like the heart containers, are normally hidden in secret rooms or areas but they were never too hard to acquire. Money also drops from enemies, which can be spent at the various merchants in the game. Health drops are also quite common and you can store one potion that drops automatically when you take damage. 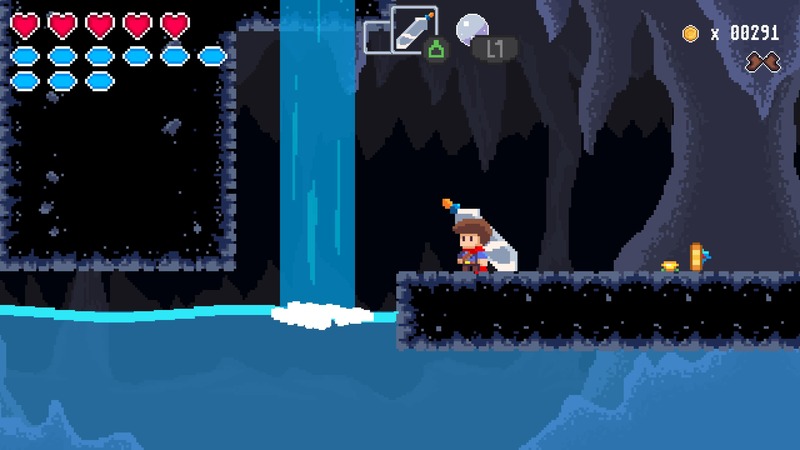 The platforming in JackQuest is quite simple – you can wall jump, double jump and most of the platforming sections are very easy and everything has been seen before in other games. Nothing is unique or new but it’s quite enjoyable all the same. You gain more abilities from bosses, which in turn, allow you to visit more of the map. Eventually, you do get access to an actual map making your backtracking simple and making progression easier. You have various save points strewn across the map and can also save where ever you want with a torch, an inventory item which can be collected or bought from the merchants. Pixel art seems to be all the rage these days and there’s a lot of indie games that use this style. When it’s done right I am a big fan and it can look very attractive. 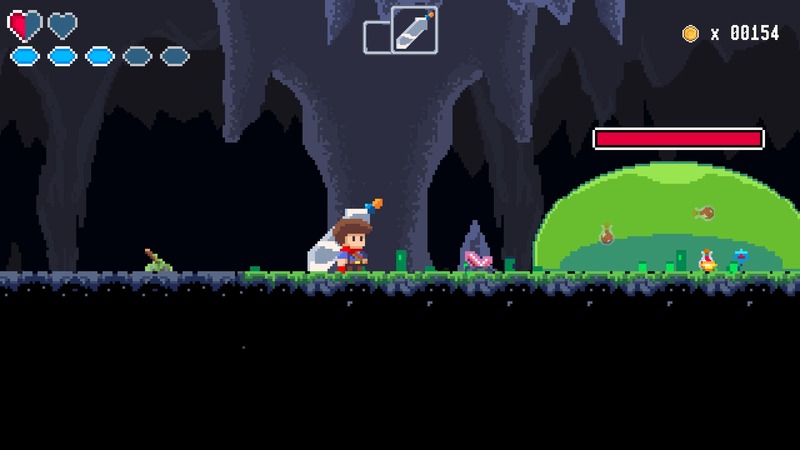 While Jackquest is by no means an ugly game I just felt the pixel art was too simple, the graphics are clean and bright but I feel a little more detail would improve it vastly. The enemies and bosses were average at best but were not bad. I think if the game was longer these shortcomings would be more severe, but in such a short title you don’t notice them as much. Musically, JackQuest is quite good and the soundtrack did keep me occupied throughout my playthrough. Its pleasant tones and piano riffs are easy on the ear and are accompanied by some pleasant chiptunes. It often reminded me of some of the games from my childhood, some of the earlier Megadrive titles like Streets of Rage or Golden Axe. The sound effects, while basic, did their job and seemed to fit the game well enough. I do like to have a little section about how a game performs technically, I think it is important to know before you buy a game how it functions. There is not much worse than buying a game that runs horribly or crashes all the time. I am pleased to say during my several hour run through of JackQuest that I encountered zero issues. No crashes, bugs, slowdown or any issues to report at all. JackQuest can’t be using that much of the PS4’s power so I would have been quite shocked if this game ran inadequately. Your short time with JackQuest: The Tale of the Sword will be fun, however, it’s all been done before and nothing here is unique. Its very simple and the challenges are few and far between. 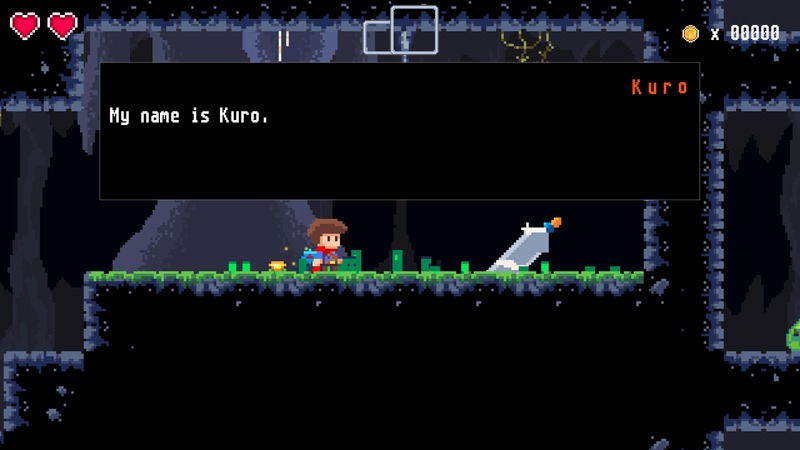 The Metroidvania elements are entertaining and navigating through its small map can be fun. The music and graphics are quaint – though could be better -and the enemies and bosses are quite generic. For its asking price of £10, I think it’s a bit much as the content (two-hour playthrough) doesn’t quite match the cost. However, trophy hunters will be able to pick up an easy platinum with little back-tracking required. JackQuest is not a bad game but it's not a great one either. We have seen it all before so there's nothing that will surprise you in any way. It has some nice Metroidvania elements and a few hidden collectables to find, and its simple battle system and easy to beat enemies means it's a decent entry level game for those new to the genre.